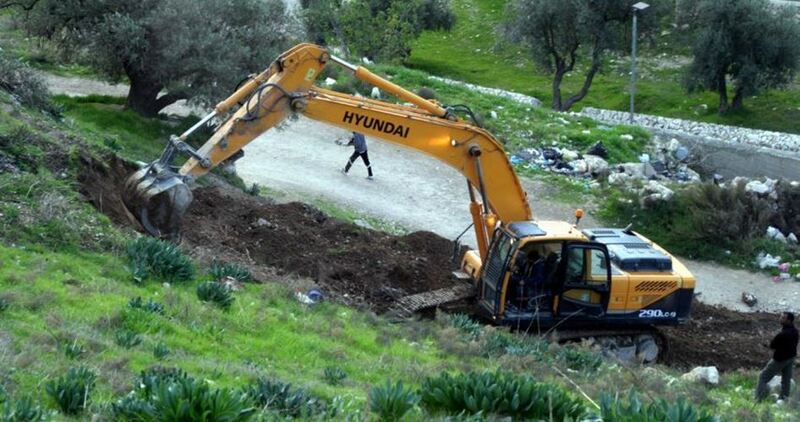 The Israeli occupation bulldozers on Wednesday morning leveled Palestinian cultivated lands and uprooted olive trees and almonds in Bethlehem’s southern town of al-Khader. 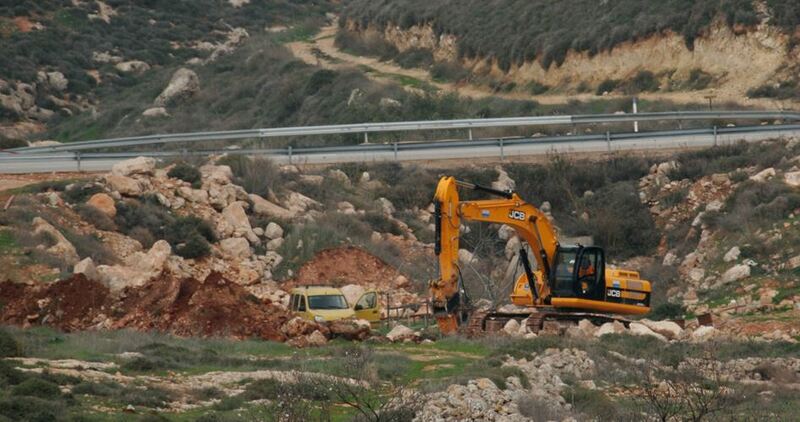 Coordinator for the popular anti-settlement committee in al-Khader, Ahmed Salah, said the Israeli occupation army has been leveling Palestinian lands in an attempt to establish an access road leading to the Hatamar illegal outpost, built on Palestinian lands in the area. The targeted land tracts reportedly belong to the Palestinian citizen Issa Salah and cover an area of three dunums, mostly planted with olive trees and almonds dating back to over 30 years. The activist added that the Israeli forces destroyed a penthouse covering 20 square meters and a stone wall set up decades ago in the area. Groups of Israeli settlers stormed Wednesday morning a number of Palestinian villages west of Salfit accompanied with a number of bulldozers and carried out razing operations. 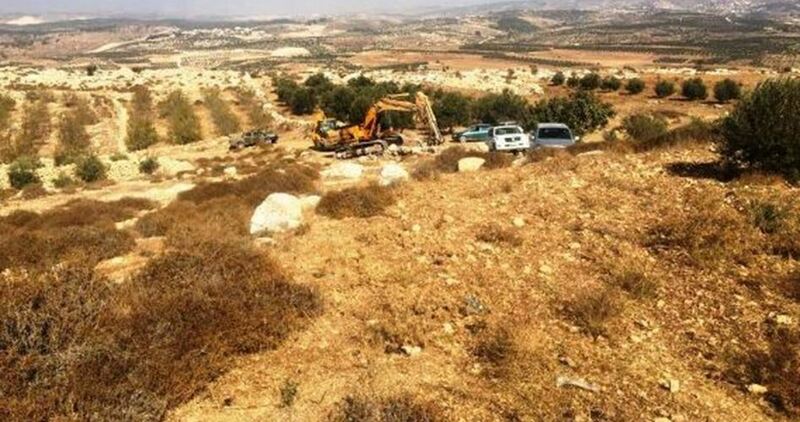 Eyewitnesses affirmed to the PIC reporter that the bulldozers leveld Palestinian lands in Bruqin town with the aim of expanding a settlement road. Similar razing operations were carried out in Deir Ballout town aiming to expand Leshem settlement, while Israeli bulldozers leveled Palestinian lands in Wadi Qana town to expand Yakir settlement. Razing operations were also reported in Masha town as a prelude to establish a new settlement. The local activist Khaled Maali pointed out that Israeli razing operations have been notably escalated over the past period in total violation to international law. 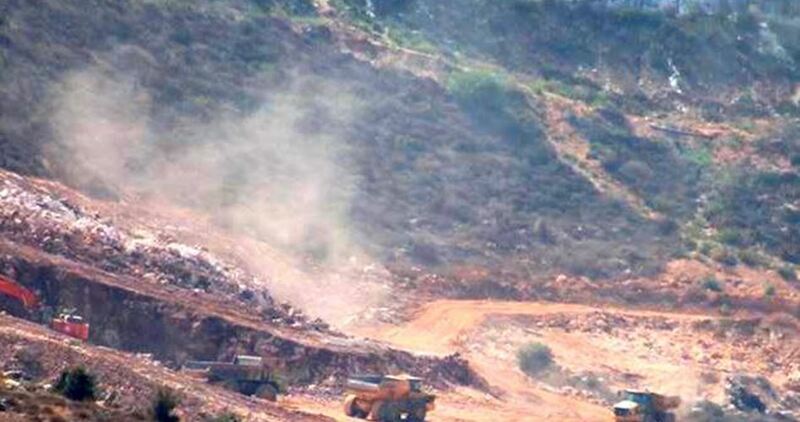 Mayor of Deir Estia town in Salfit said on Tuesday that Israeli bulldozers from Yakir settlement leveled for the third day in a row large areas of Palestinian lands in Wadi Qana area. Leveling works aimed at expanding Yakir outpost through the construction of 200 new housing units. For his part, researcher Khaled Ma’ali pointed out that Yakir settlement, which is inhabited by religious Jews, was expanded last year. Amana extremist settlement movement has been exerting efforts to increase its population, he highlighted. Yakir settlement was established in 1981 as a military training camp. The Israeli occupation authorities, however, turned it later on into a settlement and kept the camp within the outpost, Ma’ali said. 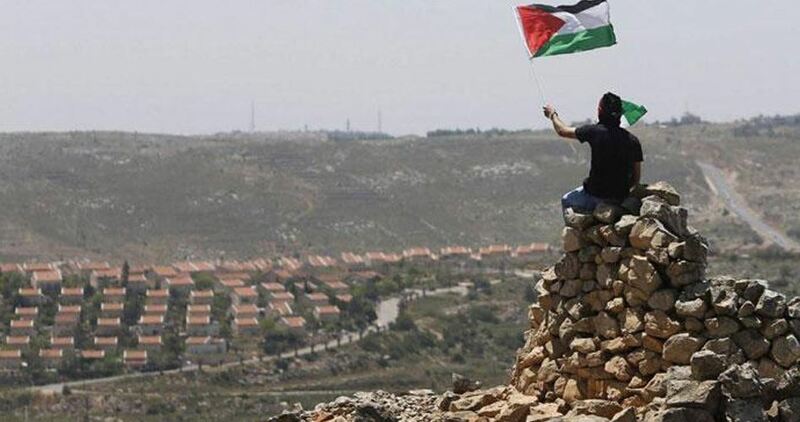 ﻿The Israeli government decided on Tuesday to confiscate 250 dunums of Palestinian lands east of occupied Jerusalem that would be allocated for the establishment of a new neighborhood following a long procedural process that lasted for years. According to the website of the Israeli Channel Seven, the confiscated lands will be allocated for the establishment of a new neighborhood that will include more than 2,000 settlement units. The website added that the Israeli Jerusalem municipality recently received an official letter from the Israeli Minister of Interior approving the annexation of these lands. Jerusalem municipality, in collaboration with the Ministry of Housing, will soon start the construction of a new settlement neighborhood called Mordot Arnona on this land. The Israeli Occupation Authority (IOA) started on Sunday to establish 12-kilometer-long and 30-meter-deep underground tunnels connecting the West Bank’s settlements with Israel four months prior to a previously-planned date. 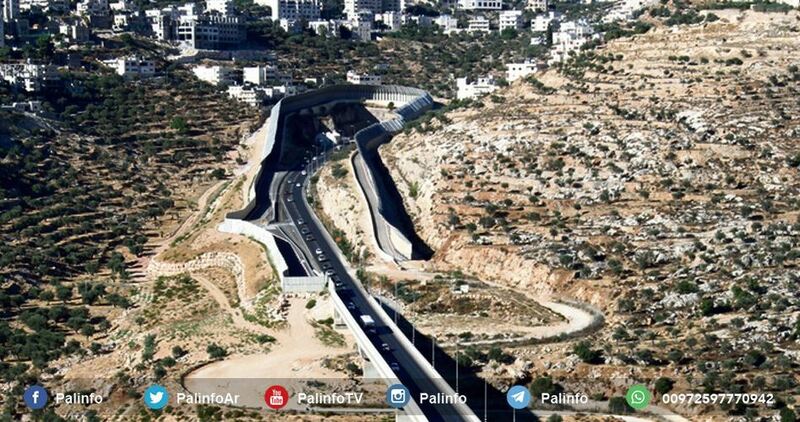 According to Israeli TV Channel Two, these tunnels are extended from Tel Aviv to Bani Barak and Ramat Gan. 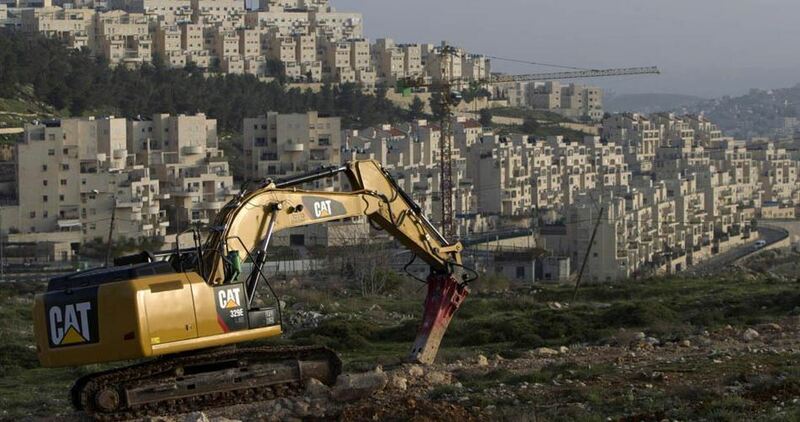 Israeli Transportation Minister Yisrael Katz said that eight Large excavators are going to be used in the project. Israeli Yedioth Ahronoth newspaper disclosed, on January, 31, 2017, the project with an estimated budget of five billion dollars. According to the Hebrew newspaper, the project requires developing transportation in the West Bank, digging in tunnels, construction of junctions and new road networks, and the establishment of light trains and roads for public buses in order to connect settlement compounds in the West Bank to Tel Aviv, Gush Dan and Occupied Jerusalem. Arab Parliamentary Union (APU) that Israeli authorities’ endorsement of the so-called settlement regulation bill is a challenge to international laws and a disregard to human justice. The APU slammed the international community for its silence towards Israeli violations in occupied Palestinian territories. “Israeli offensive practices and continuation of settlement construction without being internationally prosecuted would lead the world to a dark future”, the Union said. It also called on regional parliamentary unions, the international parliamentary union, and the international community to take a firm stance against Israeli occupation and its crimes against Palestinians. 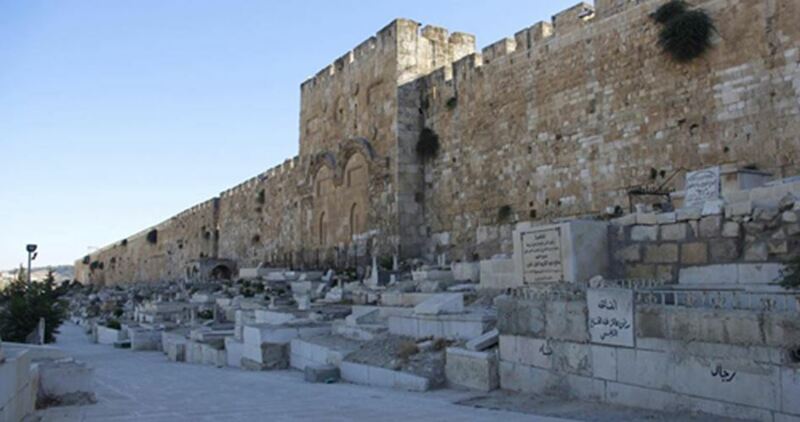 The Union also urged Palestinians to continue their steadfastness. 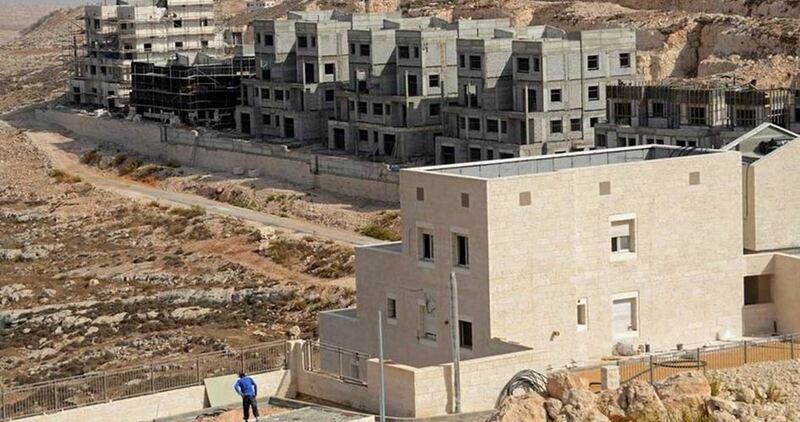 A house in the West Bank illegal settlement of Beit El donated by the US ambassador-designate to Israel, David Friedman, was constructed illegally on privately owned Palestinian land, according to Haaretz newspaper. The Friedman faculty house at the Raaya girl high school is situated in the Ulpana neighborhood of Beit El. Part of this neighborhood was demolished following an order by the Israeli high court of justice five years ago because the land had been taken illegally. The Friedman Faculty House is one of nine buildings left in the neighborhood that were spared demolition at the time, the newspaper said in a report three days ago. The construction of the Friedman Faculty House started in 1999. In 2002, a demolition order was issued against it by the Israeli army’s civil administration, which supervises construction in the settlements. Although the demolition of this house has been ignored, demolition order no. 224/02, according to the civil administration’s records, is still on the books. The Palestinian landowners and their heirs have tried several times to reclaim the land and have the buildings removed, but to no avail. Early next week, a large group of them plan to submit a petition to the high court of justice demanding that all the remaining buildings in the Ulpana neighborhood, including the Friedman House, be knocked down. “We are bringing this suit because all our previous attempts to get the Civil Administration to enforce the law have failed,” said Husam Yunis, the lawyer representing the group. He said he expected the petition to be submitted either Sunday or Monday. Two Israeli ministers revealed on Friday a plan to build a new illegal settlement at the expense of Palestinian lands in West Bank with the aim of hosting Israeli settlers evacuated recently from Amona outpost. Israeli Justice Minister Ayelet Shaked affirmed her government’s commitment to build a new settlement for Amona’s settlers. "We are committed to our pledge," she said. For his part, Israeli Education Minister Naftali Bennett revealed that Israel’s Prime Minister Benjamin Netanyahu has approved the establishment of the new settlement. "I’m totally sure that Netanyahu will abide by his promise," Bennett said. The two ministers’ statement came just two days after U.S. President Donald Trump had asked Netanyahu to restrain settlement construction during his visit to Washington. In early February, Israeli forces began an operation to evacuate settlers from Amona settlement illegally built in West Bank after Israel's Supreme Court had set Feb. 8 as the final date for it to be evacuated. The court ruled in 2014 that Amona was built on private Palestinian land and must be dismantled. Israeli occupation authorities declared intention to expand Benjamin settlement illegally built near Ramallah, Haaretz Hebrew newspaper revealed Thursday. 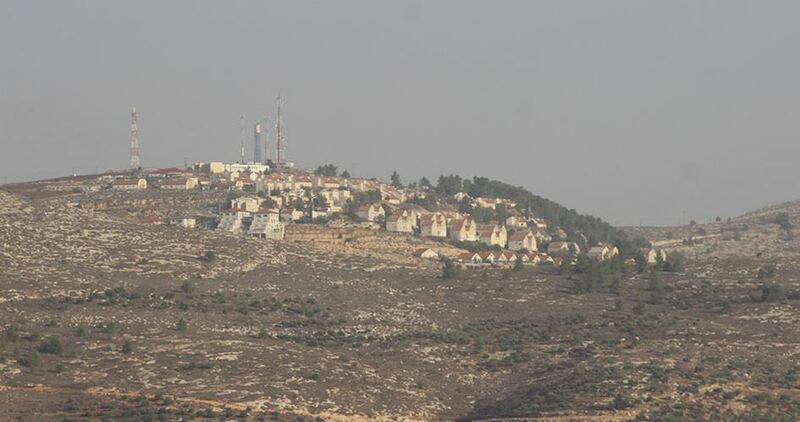 New settlement homes are scheduled to be added to Benjamin illegal outpost at the expense of Palestinian-private lands near Ramallah, the paper added. The decision to expand Benjamin settlement was not approved yet; however, its regional council has started working to establish a neighboring outpost to host the settlers recently evacuated from Amona settlement.